There are very few bands that have managed to weave a web of mystery around them. Very few have survived and keep going strong until today. 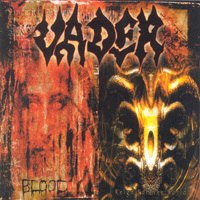 When faced with the question, ‘which’ people tend to mention American death-mongers like MORBID ANGEL, DEICIDE or CANNIBAL CORPSE …however, for a few years now many have named VADER – perhaps the only band from Europe, which has sustained its status for a long number of years. Theirs is the cult of musical brutality and the urge to succeed. 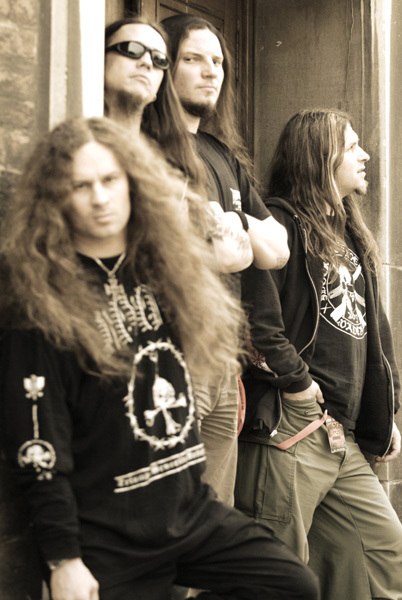 Few may remember that VADER were the first band ever from behind “the Iron Curtain” to sign to a Western label while their 1990 demo “Morbid Reich” is still considered to be the best selling demo tape in the history of death metal. The year 2004 is the time for the band’s new studio album “The Beast” and an extensive promotional campaign including over 170 gigs! 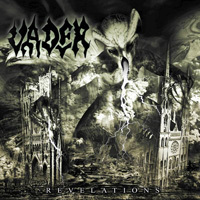 The recording sessions of VADER’s new album had to be interrupted and postponed to May/June due to an unfortunate accident suffered by Doc (drums) and a very talented drummer called Daray (VESANIA) replaced him. VADER’s new live season kicked off with a small tour through the Czech Republic / Slovakia and Eastern countries like Russia, Latvia, Lithuania, Estonia, The Ukraine and Belarus, 25 gigs in total. 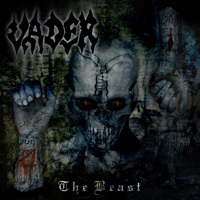 From the 1st of April VADER continued their European crusades, invading countries like Germany, The Netherlands, Belgium, England, France, Italy, and Austria to name a few, simultaneously proceeding with the recording sessions to “The Beast“. A very important part of that tour was the band’s first trip to the Balkans (Hungary, Romania, Bulgaria, Serbia, Macedonia and Croatia) and a Scandinavian tour consisting of 14 gigs. 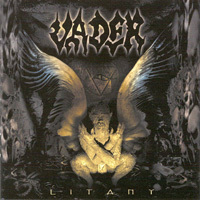 For the second half of 2004 VADER is going to play another tour through Poland named “Blitzkrieg 2″ (17-gigs), a US tour along with CANNIBAL CORPSE and NAPALM DEATH (October/November) and participate in the December X-Mass Festivals. 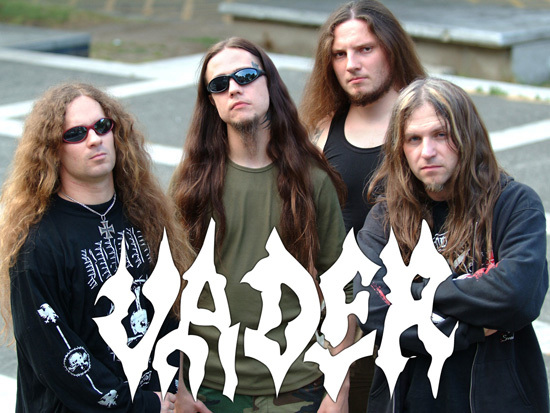 Nevertheless, the most important gig VADER played in 2004 was probably at Silesian Stadium, Katowice, where the band opened for METALLICA in front of 50,000 people. 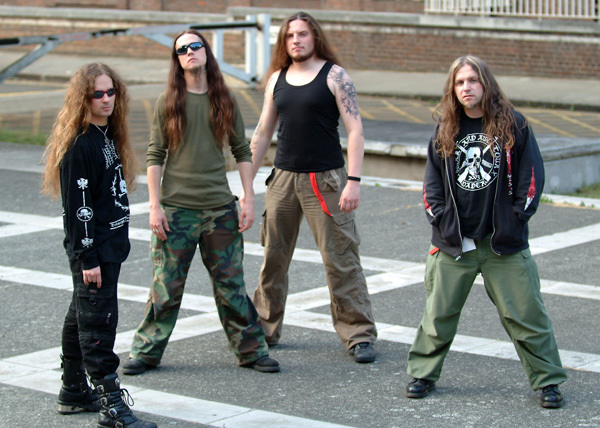 The sessions for “The Beast” were finished in mid-July. The album hits the market on the 20th of September and contains 10 new cuts. 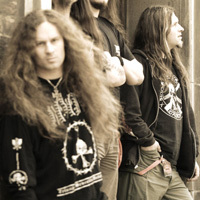 They were recorded at RG Studio, Gdańsk (Poland) with Piotr Łukaszewski behind the board, the producer well known from the band’s previous releases. Famous Polish artist Jacek Wiśniewski took care of the album artwork and layout once again. 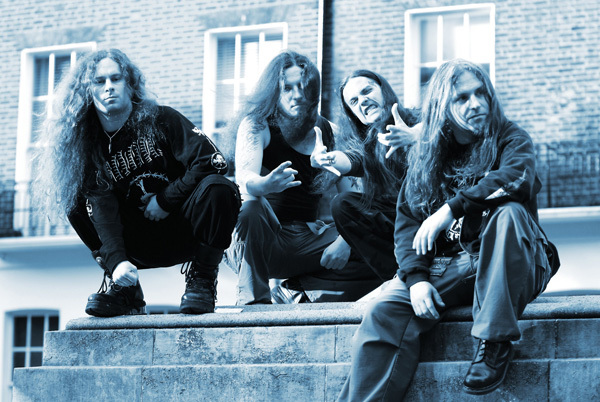 The European limited edition of the album also contains a bonus DVD featuring a 30 minute studio report, 2 video clips recorded during the sessions, and 3 video cuts recorded at Metal Mania Festival 2003. Beware of “The Beast“!